Today marks the start of the second availability wave of Apple's iPhone 5s and 5c, which includes 35 more countries. Among those are Spain, Russia and South Korea. The full list of countries in alphabetic order is as follows - Austria, Belgium, Bulgaria, Croatia, Czech Republic, Denmark, Estonia, Finland, French West Indies, Greece, Hungary, Ireland, Italy, Latvia, Liechtenstein, Lithuania, Luxembourg, Macau, Malta, Netherlands, New Zealand, Norway, Poland, Portugal, Reunion Island, Romania, Russia, Slovakia, Slovenia, South Korea, Spain, Sweden, Switzerland, Taiwan and Thailand. Apple will also be releasing both new iPhones to an additional 16 countries on November 1 - Albania, Armenia, Bahrain, Colombia, El Salvador, Guam, Guatemala, India, Macedonia, Malaysia, Mexico, Moldova, Montenegro, Saudi Arabia, Turkey and UAE. 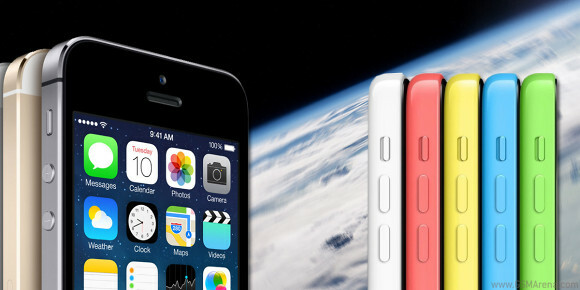 Originally the iPhone 5s and 5c launched in US, Australia, Canada, China, France, Germany, Japan, Singapore and the UK. The prices of both iPhones have been slightly increased recently, due to changes to the currency rates.